Any tips on how to quit drinking diet soda? I’m an addict. Drink sparkling water instead, maybe with a lemon slice or two. Replace your lost caffeine with tea or coffee. What’s your favorite Primal appetizer/finger food to share at sporting events or gatherings? Those should cover your bases. For more ideas, check our Appetizers section! I have a two-month-old baby whom I’m breastfeeding. I’m thus tied to a sofa for much of my waking time. How can I find time and energy for a workout and/or sprints? As a more general question, how can we best adapt the challenge for pregnant and nursing mothers? Don’t worry about the workouts or the sprints. At two months, your kid needs you, maybe more than he/she ever will. You need to conserve your energy (which in your words is definitely finite). Overdoing things on the exercise front might also send troubling messages to your body – that things on the outside world have gotten dire and stressful and dangerous, and that perhaps breastfeeding isn’t top priority at the moment. Instead, send the message that everything is good, food is plentiful, and free time is abundant by chilling out. Then, the milk should continue to flow. To pregnant and nursing mothers interested in taking the Challenge I suggest making it about sleep and stress and slow moving, rather than losing weight and lifting heavier things. I have been trying to eat Primal for the past 4 months, my main goal is to lose weight. Do I need to still create a caloric deficit or is watching my total carb count all that really matters? Also, note the distinction between fat loss and weight loss. You can lose fat and still maintain (or even in rare instances gain) your body weight, and that’s a good thing because it signifies lean mass addition – and that doesn’t require caloric deficit. Do you have any comments, suggestions, experience with others that struggle with sugar and have come out the other side victorious? Avoiding concentrated, refined sources of sugar, like white sugar as well as juice, soda, candy, baked goods, and all the rest seems to be extremely important in the early going. But almost as important is not fearing whole food sources of sugar, like berries or a bowl of cherries. Those aren’t the same as refined sugar, even though they contain sugar, and while they shouldn’t be eaten with reckless abandon, they should not be regarded as mere “bags of sugar.” Eating them can be a source of sanity. Concentrated sources of “real food sugar,” like honey, syrup, or molasses, are a grey area. Though they’re “better,” I’d definitely watch out for them and perhaps even avoid them altogether. What are some good “mocktails” to have while watching football and/or tailgating? A selection of high quality, preferably fresh-squeezed fruit juices. A good sparkling mineral water. Gerolsteiner is my favorite. A bevy of spices and herbs. Cinnamon, turmeric, mint, cayenne, and thyme are vital, but any of your favorites will do. Fresh is best. A collection of bitters. I keep Angostura bitters around all the time. Go wild. Let people mix and match their favorites. Plus, if they want to make them adult beverages, they can always add their own without disrupting the flavor too much. I’m in the market for a good pair of primal footwear but I really hate the 5 finger look. Anything you’d recommend? Looking for something I could wear everyday, anywhere. From the gym, to the grocery store: That sort of thing. Vivo Barefoot has some snazzy looking shoes. I also like the Altras. Mark – this is my 3 go at completing a 21 day challenge. 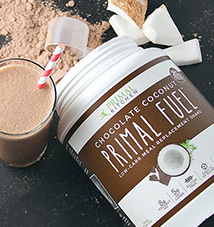 I have been on and off again primal for about a year but never seem to gain consistency past two weeks. This challenge I have asked my wife to join me. She is struggling and blames it on the fact that we have 5 kids that “won’t eat this stuff” as she puts it. What are your recommendations for completing the 21 day challenge in with 6 people eating a SAD? Get the kids involved. Let them help prepare food, take them shopping (and let them have a say! ), show them how to handle knives, boil water, add spices, that sort of thing. Here, I wrote a post detailing how to get the whole family involved with healthy eating and food preparation that you might find useful. So I know other “experts” say you should eat breakfast, What are you thoughts on breakfast if the person is not hungry? It there a time frame you should get food into your body after you wake up? If those appear, you probably need more food, and eating breakfast is a good way to ensure you’re getting enough. 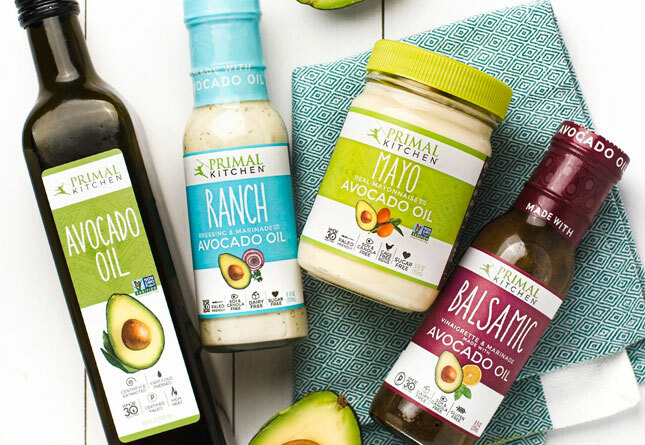 Do essentials oils have a part in primal nutrition and health? Food grade essential oils can be used in cooking. Just use caution, because they’re extremely powerful. After hurting my knee while squatting, I became interested in body weight training and the potential dangers of barbell training. Chiefly, joint and tendon/ligament damage. How do you feel about this? And if barbell training is not worth the risk, what heavy things should we lift? Risk/reward. Barbell training elicits the greatest training effect, and it can even strengthen connective tissue, but you need to do it right to be safe. The “danger” is what makes it so useful. Balancing a heavy load on your shoulders makes you strong and athletic because it can go wrong. It’s a tough one. I’ve mostly given up heavy barbell work, particularly bench press and squat, for dumbbell presses and pushups (sometimes with a weighted vest) and leg presses and hack squats. I enjoyed working out with barbells, but I just don’t need them to reach my goals anymore: maintaining enough strength, connective tissue health, and bone density to support my play and health. Check out a recent post for recommendations on working out the lower body after a knee injury. In the near future, I’m going to be driving across the country – 11 hours in a car for 4 days. Do you have any food tips for such a long road trip? I’ve got better than that: a whole post devoted to the subject. I’ve just started trying the paleo diet but I’m having a hard time finding food. I’m a college student with no kitchen and our cafeteria foods are nearly all grain or grain based. I have a microwave and a fridge keeps things cool but not cold enough to be at proper fridge temperature. What are some good foods that aren’t too expensive and don’t require refrigeration? 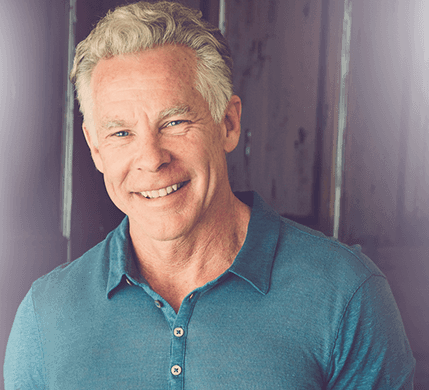 I am raising the question of how to follow the Primal Blueprint while remaining Primal openness to cultural gastronomic experiences and not falling victim to contrivance regarding what you put in your mouth. I’m a full supporter of sampling the local non-Primal cuisine, provided it’s high quality and you really want to try it. What that means: eating the pizza margherita from the little hole in the wall in Rome recommended by your cab driver. What that doesn’t mean: going to McDonald’s for the Royale with Cheese when in Paris just because Pulp Fiction is your favorite movie. Just don’t spend your entire trip venturing off plan and expect to feel normal. My question is about getting adequate sunlight. I work nights and I’m in New England. I know you say to commit to 15 mins per day, but if it is chilly and less skin is exposed, should I try to get more time in the sun? Yes, and consider supplementing with 1-2000 IU of vitamin D3. Monitor your vitamin D levels and stay around 45 ng/mL. My question is about Vitamin D and sunlight exposure. I live in England and the while we had a nice summer here (by English standards) the weather has turned cold fast and the lack of sunlight is now evident! I have started supplementing with Now Foods Vitamin D3, should I be doing anything else? Vitamin D3 is great, but don’t neglect going outside. While you may not make much vitamin D from English autumn sun (or lack thereof), it is important to get outside and get some natural light exposure, especially in the earlier half of the day. Our circadian rhythms in particular are hewed to when and how we exposure ourselves to light. Even muted, cloud-filtered sunlight can align your clock and improve sleep. I am pretty skinny already with very low body fat so my goal is not to lose weight but to get healthier. I like my fatty coffee in the morning without any protein or carbs very much but I oftentimes feel a bit cold and cranky the whole morning. Could this kind of IF be a problem for people with very low body fat (does it slow down the metabolism or anything?)? Any suggestions? Yeah, I wouldn’t recommend fasting (with or without coffee) if you’re feeling cold and cranky. Try having food with your coffee, maybe a plate of eggs with some berries or other fruit, and see if that makes a difference. Any suggestions besides melatonin and Valerian root for trouble falling and staying asleep? Get natural/bright light during the morning/afternoon and limit light (especially artificial light) after dark. When you eat carbs, eat most of them with dinner. Drink some bone broth or gelatin an hour before bed. Try guided meditation at bedtime. 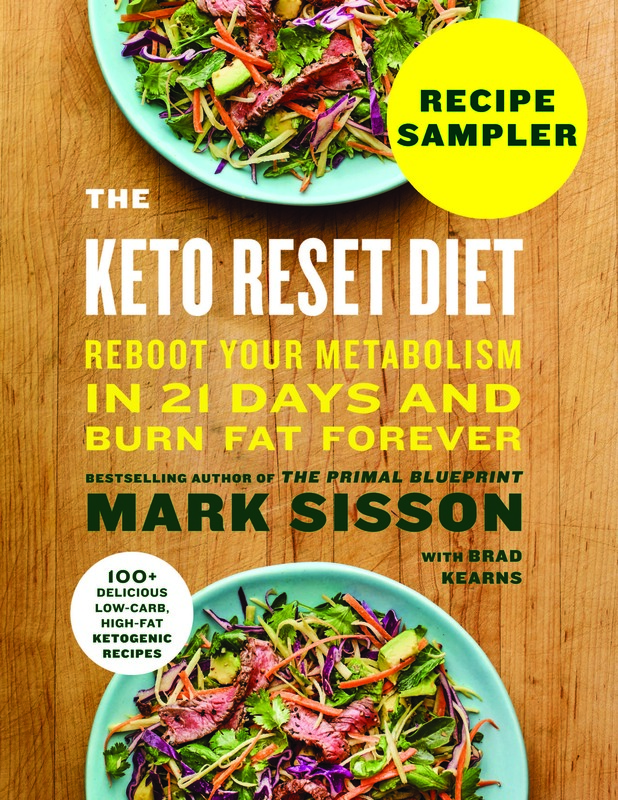 Hey Mark thanks for all the help, so far I’ve been primal for about 1 year and when trying to a do a very high fat lower carb “session” of eating I run into problems digesting fat, is there anyway to fix this or should I continue on with a more moderate fat primal diet? First, check out this post on going Primal without a gallbladder. The gallbladder is extremely important for optimal fat digestion, and not having one (or having a poorly-functioning gallbladder) can impair your ability to eat a high-fat diet. Consider using more short-chain fatty acids (from coconut oil and pastured dairy), which require less work to digest. Ox bile and digestive bitters taken before meals can also improve your digestion. I have heard that working out when sick can extend the illness, is there any truth to that statement? Thanks for your time. If your symptoms are above your neck – stuffy nose, headache, sore throat – you can usually keep working out. Just keep it lighter than usual. If your symptoms are below your neck – exhaustion, sensitive skin, fever, aches and pains – you should not work out. There’s always a next time. I answered a free ad in the paper from someone trying to get rid of apples from her tree, and now I have approximately a million gallons of “pie” apples. I LOVE eating them baked with cinnamon and nuts, but how many is too many? I echo the reader comments that you should make cider. Make it hard, even. Since moving away from beer (although I sneak one here and there), I’m really enjoying ciders more and more. It doesn’t hurt that cider quality is experiencing a renaissance due to the popularity of gluten-free. I say join that renaissance! And yeah, think of this as a treat. Whenever strawberry season rolls around (and I mean true strawberry season, not the watery flavorless show berries people try to pass off throughout the year) I really go to town and buy flats of the things every week from the farmer’s markets. It’s okay to gorge every now and then, especially on a seasonal item that also happens to be real food. We have had a great response from our children with becoming a Primal house, they have no complaints over the food or lack thereof of the traditional junk. I am just curious as to how you have kept your children primal when out with friends or even those SAD family members? Sounds like you’ve got a nice brood on your hands. If they’re perfectly content with the healthy Primal food in your house, don’t sweat the rare instances they have to eat out in the wild. You’re growing a pair of healthy, well-adjusted eaters that should do very well in life! Mark – Sprinting drives my carb cravings through the roof once I’m finished. My “sprints” last from 5 seconds to 3 minutes but neither shorter nor longer makes it easier to resist carbs. What should I do? That sounds like an instance where the carb cravings are justified and physiologically warranted. Sprints longer than a few seconds by their nature deplete glycogen stores. Your body is simply informing you of this. The bulk of the carbs eaten post-sprint will be stored as muscle glycogen – nothing to worry about. 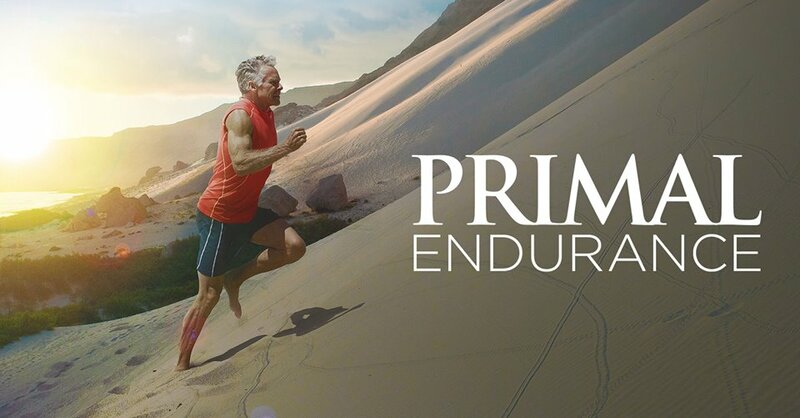 I actually find it quite easy to be 100% primal while on the challenge because I know that non-primal foods are off-limits for me. However, when the challenge isn’t on, I have a hard time maintaining the healthy 80/20 balance: it tends to quickly go to 60/40, 50/50, and worse. Any tips for how to maintain the healthy lifestyle promoted by the challenge after it’s over? Stick to the parameters of the challenge. If 100% Primal is easy, maybe you need to continue that. 80/20 isn’t a requirement; it’s just a helpful tool for people who can utilize it without going overboard and actually need it to function and stay sane. Also, I’ve written a post about what to do when 20 inches toward 40. What if I can’t stop snacking? I eat primal snacks but I still always want more, especially when I am trying to avoid doing a task. Eat larger, more solid meals. Get a good chunk of protein and fat at each to promote satiety. Any suggestions for primal breakfast ideas for a stay at home mom that doesn’t necessarily like breakfast? Thanks!!! As you indicated in the full version of your comment, since your wife likes sweet yogurt, get a big tub of pastured full-fat yogurt and keep a selection of frozen fruit, berries, and nuts on hand. I really dig two combos in particular with yogurt: strawberries with walnuts and blueberries with macadamia nuts. Heck, even a drizzle of honey or maple syrup wouldn’t be the end of the world, especially since she’s nursing and needs the calories. Keep hard boiled eggs on hand so she can pop a couple in her mouth to round out the yogurt for extra fat, protein, and micronutrients (like choline, very important for growing baby brains!). What are some the best tips you can give on breaking plateaus? Incorporate sprints. If you’re wary of straight-on sprints, trying hill sprints or cycling sprints. Try a carb refeed. You may need the occasional leptin boost that a carb refeed provides to jumpstart weight loss. Look at other areas beside food/exercise. How’s your sleep? Your stress? Are you walking enough steps per day? What is your take on a hemp as a source of protein? I’ve heard plenty of cases made as to its health benefits but I just wanted to get some of your input as well. Is hemp primal? I’ve covered hemp before. Yes, it’s a good occasional alternative but shouldn’t replace animal protein. Do you think it is necessary to supplement with copper and zinc if not eating liver? I have tried a few times but not really digging the liver. Not necessarily. Other sources of the two minerals abound. For copper, you could eat oysters, dark chocolate, cashews, pumpkin seeds, kale, beef heart, and potatoes. For zinc, you could eat oysters (and most shellfish), beef, lamb, and other red meats. Pretty much any red meat – not just the liver – will be rich in zinc. Also, have you tried sneaking liver into other foods? Liver’s good for more than just the copper. I’ve always had a hard time figuring out if I’m eating enough fat. Of course I cook my meats in it, eggs, and sautéed veggies. But, other than avocados, what else can I eat? I know there are seeds and nuts, but aren’t those full of PUFAs? Aren’t we supposed to eat those in moderation? Remember that meats and eggs both inherently come packed with plenty of fat – and it’s the good, animalistic kind of fat! Throw in some fatty fish a few times per week, veggies sautéed in fat, a handful of nuts scattered here and there, an avocado on your salad, cream in your coffee (if you do dairy), a coconut based dish one day, some olive oil in your salad? You’ll get plenty. It sounds like you’re doing well, to be honest. Since fruits are an occasional food, which ones offer the most bang for their buck(nutritionally speaking) and which ones should we avoid? Dear Mark, I have scoliosis since I was a child and I have always had problems with my posture (ie.not standing straight enough, back aches…). Is there any kind of exercise that I can do to improve my posture and lessen the pain? I highly recommend Esther Gokhale’s book, 8 Steps to a Pain-Free Back, which she wrote after spending decades extensively studying the postural habits of pain-free non-industrial populations. She also gives classes. For a quick rundown of my thoughts on Esther’s methods, check out a post I did on posture. Is there a secret to eating more veggies? What sort of dishes or skills am I missing in the kitchen that would allow me to up my veggie intake? Why yes, there are a few time-tested methods for increasing vegetable consumption. As for skills, it’s not so much a technique as it as a willingness to try to new things. Branch out; pick a cuisine and then make a Primal dish from that cuisine. I precooked a bunch of plain meats in my sous vide but now need some way to make them tasty. What’s a good way to flavor meats that are already cooked? Reductions work great! Start with a bit of real bone broth, balsamic vinegar, lemon juice, orange juice, or some combination of them and reduce it over low-medium heat until it starts to thicken and syrupify (that’s a word, yep). Add salt, spices, and/or herbs. Once it gets real syrupy, turn off the heat and add a little cold butter. Swirl that around to thicken the sauce you’ve just created. I’ve also got a good book for that. My BP concerns me, but my qu is: do you see this often in people that live the primal lifestyle? I don’t see this very often, no. How much potassium are you getting? Most of the latest evidence shows that potassium intake is vital for blood pressure regulation. You getting your veggies? Have any suggestions on how would I go about reaching 6% body fat? I am for sure 10% or below, am an avid walker, sprint and lift occasionally, and watch carb-intake. Just can’t quite seem to get there, but I want it so bad! You’re gonna have to get really strict with calorie intake. You’ll also have to sprint and lift more than occasionally. And even then, it might not work. I don’t recommend it, personally, as it can have disastrous effects on your endocrine system and quality of life (including tanking your testosterone), but that’s what it’s probably going to take. Why was it easier to drop fat and lose cravings when living in Europe than it is here in the US? The food is of generally higher quality in Europe than the US. Here, to find quality, you have to seek it out. Most European nations, having been around for longer, have richer food traditions than Americans. If I eat cheese, should I choose grass-fed, but not raw or raw, but not grass-fed? Thank you!! Grass-fed is more important than raw. Grass-feeding leads to an improved nutrient profile (more vitamins, better fatty acids). I’ve followed it religiously with meat and stuff. I just can’t do it meat makes me feel heavy protein does I’ve done HCL, ACV, enzymes etc. Just doesn’t feel right. Carbohydrates not grains! do make me feel better where can I get protein:? Do some people need different macros less protein. Im so lost. Don’t eat tons of meat if it doesn’t make you feel right. Stick with eggs, dairy (if tolerated), and lighter fare like fish and shellfish for your protein needs. Primal needn’t be “all meat, all the time.” Later on, you can try meat again and find it may affect you differently. As for the carbs, if you’re underweight and they make you feel better, eat them! Just stick to Primal carb sources like sweet potatoes, potatoes, wild rice, squash, and fruit. Assuming I can add some strength training, will continuing to train for and run half marathons be detrimental to a primal lifestyle? It might on a physical level, but doing something you truly love improves your quality of life on a deeper, more meaningful level. That’s completely Primal, in my opinion. Keep an eye on overtraining symptoms, of course, and be ready to change things up if they go south. Just don’t even think about graduating to full marathons! Love the 21-day challenge, however I may be consuming a few too many starchy vegetables (i.e. yams/sweet potatoes). What are your guidelines for these in the paleo diet? I don’t need to loose and weight but still want to make sure i am on the right track. As long as you’re at your goal weight and aren’t gaining any unwanted fat, your level of starchy vegetable intake is likely fine. Hi Mark, My question is when is it time to toss out the old vibram five fingers and replace with a new pair. Dollar for dollar these shoes are extremely well made and can take an incredible pounding. The smell just won’t go away no matter how vigorously and thoroughly you wash them. Your toes are poking through the sleeves. Problem is I don’t really like many vegetables so what are some good ways for me to get carbs and good fiber. I eat spaghetti squash, sweet potato, tomato sauce(spaghetti sauce) and that is about it. Those are fine choices. I suggest you “hide” other vegetables in your spaghetti sauce, particularly leafy greens. Kale, chard, spinach, beet greens can all disappear quite easily into a vat of spaghetti sauce. For added fiber, eat a few pieces of fruit a day, like underripe bananas, apples, and berries. I have a cabin weekend during the 21 day challenge. I know I can just bring separate food than everyone else, so I’m not eating hotdogs and chips all weekend, but it’s not that easy. Any suggestions on how to handle the situation or what to do so I am not completely separated from the group for meals? Offer to cook a big feast for one or more meals. Have everyone pitch in for groceries, enlist a few kitchen assistants, then blow their pants off with an amazing Primal meal. That’s far better than people sitting around eating prepackaged junk food, and it’s a fun way to socialize and introduce people to good Primal eating. A few bottles of wine should assist here, too. Where can you buy sliced meat without any sugars in the Netherlands? I’ve defaulted to choosing the best-out-of-not-so-great-options but that’s not a good thing. Well, I don’t know where in the Netherlands you live, and I hate to come across like the guy who thinks Amsterdam and the Netherlands are synonyms, but this meat shop in Amsterdam seems to have good charcuterie. How do you cope with sudden stressors, whether large or small (i.e. death in the family, sprained ankle, etc.) that may pop up during your challenge? Or what advice would you give to someone in a position like this? Do your best to maintain a healthy Primal lifestyle with good nutrient-dense food, regular activity, quality sleep, and – this is the most important of all if it’s a big stressor – a strong circle of social support. Support with adaptogenic or anti-stress herbs can also really help here. That said, if someone close to you passes away, the last thing I’d do is stress over my eating habits. If it comes easy, awesome. If it’s a struggle that’s impeding your ability to cope, don’t worry about it. I’m on a very tight budget for the time being (back in school full time for a semester so had to cut down on the work hours) and live in a small town where “organic” and “grass-fed” are EXTREMELY hard to find. How do I make the best food choices possible in the environment I’m currently in? Conventionally-raised ruminants (beef, lamb, bison) are better choices than conventionally-raised poultry and pork due to the minimal impact grain-feeding has on the fatty acid content; poultry and pork reflect their diet in their fat. Buying organic fruits and vegetables when you can, but focus on local and fresh/in-season over a label. You can also consider ordering online. Check the Primal Resource section for trusted vendors. What suggestions do you, or anyone, have for treating surgery scars? I am waiting impatiently for my dura-bond to come off so I can start treating my incision wound on my neck. I have coconut oil, lavender oil and a cocoa-butter/lavender oil blend but is there anything else I should try? I have always had success with neosporin but would like to avoid it for a more natural remedy. The oil blends you describe are good, too. I’d also make sure to eat plenty of gelatin to give your body the skin-building supplies it needs to heal wounds. Eat oxtails and shanks and feet, make rich bone stocks, use powdered gelatin to make Primal treats or melt into warm liquid, or buy collagen that you can simply add to cold liquid. Collagen compresses have also shown promise in healing wounds; ask your surgeon or wound care specialist about that. Even standing desks don’t strike me as a solution if the posture is already trained into a poor position. I see a lot of hunched over shoulders while people walk around. Does squatting while hanging around, playing with the kids, etc, help or hinder? Squatting is the “third world chair.” It’s how we are meant to rest, relax, socialize, work, and wait. And, if you grew up in a culture where squatting was the norm, you’ll likely retain an effortless full squat for the rest of your mobile years. That will maintain your overall joint mobility, because a full squat is a passive stretch. In a proper full squat, your glutes are active, your calves are stretched (not tight), and your torso is relatively upright (which keeps your hip flexors from tightening up). You do that every day of your life for minutes or hours at a time and you’re going to be in good shape. Of course, most of us reading didn’t grow up squatting on a regular basis. We may have started out doing it as toddlers, but eventually chairs and classrooms and televisions got their hands on us. Thus, if we can get comfortable in the full resting squat with good technique, I think it will be therapeutic for a number of ailments, posture and low back pain included. On occasions where I’ve tweaked my back, sitting in a full squat is often the only thing that alleviates the pain. Whew, that’s it for today. Thanks for reading (and asking)! Be sure to leave your comments below and Grok on! Amazing collection of Q&A, easy to send all of my patients that are on the 21 Day Challenge on this! Thanks! I’d personally recommend Vivo Barefoot as an alternative to Vibrams – I absolutely love them and I can get away with wearing them at the office without an issue! I tried putting an older pair of shoes on the other week after wearing the Vivo’s for a fortnight and it felt just wrong. I’ve definitely been converted! Yeah Vivo has some dressier styles too if thats where your needs lie. I am in the market for minimalist shoes and both these suggestions look like a great place to start, thanks! Vibrams are great, but other alternatives: Vivo Barefoot line as mentioned. Tune footwear for loafers. Sockwas are great and comfy too. I love my Vivo JingJings! LOVE. I am a kindergarten teacher at a school with a business casual dress code and wear them every day with my dresses, pants or capris. I am thinking I might need a couple more pairs. Tips for quitting diet soda. My best advice is just keep trying. Maybe you need to give it up for 3-4 weeks to get started, but I found I could never go back to occasional consumption as it eventually led back to daily use. I “quit” many times, but finally gave it up for good nearly two years ago. I found out that the brominated veggie oil in my diet lemon/lime soda (Bromine) was displacing iodine and causing my low thyroid. That was the big push I needed to say goodbye forever. Find an important reason and use that for your motivation. Now I drink mostly water, occasional green tea, and don’t need caffeine to pick me up any more. Mark, awesome job today, and thanks for taking so much time to answer so many interesting questions. The education never ends!! In addition to lemon and lime, I often use (organic) vanilla extract (and a bit of Stevia) to make cream soda. I’m sure you can also find cola extract. Haven’t tried that myself. I agree, an awesome collection of advice! I have found club soda to be a good alternative – I missed the fizz more than the flavor. When I do want some more flavor, adding a splash of juice does the trick. I buy a bottle of kombucha if I want a sweet-ish, soda-ey drink. The one I buy has 60 calories and 4 grams of sugar in the 16 oz bottle. I really like the tart taste and mild fizz, plus it has probiotics. It’s pretty expensive though, so I don’t drink it very often. I know there are many tutorials out there for brewing your own, but I have zero interest in doing that. Curious about where kombucha fits in at all. I get a lot of questions about this from my clients. Mark? Am sure it is better than diet, but it still sets the body up for expecting sweets. 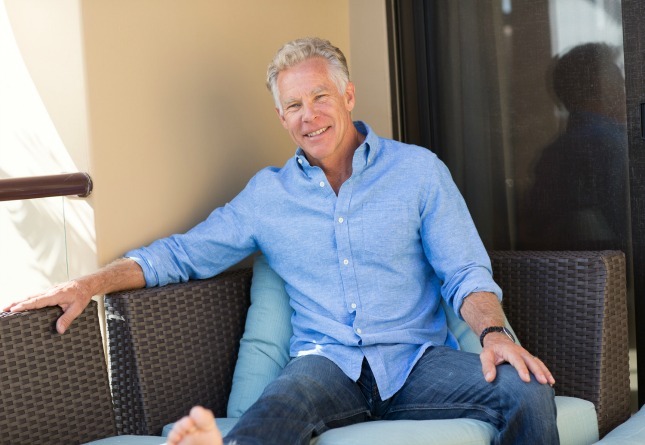 I recommend probiotic foods and, sure, kombucha is a probiotic drink, but it is made with gobs of cane sugar and most of my clients start reporting sleep problems (one of the cane/corn sugar liver and nervous system effects). Thoughts? I’ve been doing paleo for 11 months and have lost 120 pounds. I’ve fat my entire life and on some diet or other since I was 10 years old. This is the first thing that has ever worked for me, and I have felt, until recently, like it’s really a lifestyle that I can maintain for the rest of my life. However, this past month I’ve hit a plateau with weight loss and I have a non-paleo binge every 5-6 days. I crave sugar, especially chocolate and ice cream, so intensely that I can’t stand it. My binges turn into 7,000 – 8,000 calories at a time. I get back on track the next day, then five or six days later I’m at it again. It takes me a good three or four days to start feeling remotely okay after a binge, so I feel like crap most of the time these days. I really want to get back to where I was two months ago, but I’m having a hard time with it. I feel like if I keep this up, I’m going to be back at over 300 pounds again this time next year. Keep at it, you can do it. Try some 85% dark chocolate, 3-4 squares a day (Less than a serving size), I could eat this daily and fruit for a treat and not have a binge. Now, sometimes, I will go days without having chocolate. About the plateau, my own experience is having long plateaus then 5 or 10 pounds just gone. Perhaps focus on exercise for a while (not weight loss) but see if you can lose a clothing size. I was listening to a podcast over the weekend and the trainer was talking about a woman who weighed 155 pounds at size 12, and later was size 6 at the same weight. So weight not always telling the story. Good luck and keep plugging away. You have to reel this in somehow. You could do well with refeeds if you can control this. A full day of IF after the feed is one way to deal with this. After my last binge I fasted for 45 hours straight and since then I’ve been doing the Warrior Diet/paleo at the recommendation of a friend who thinks it will help with my sugar cravings. So far, after one week of this, I feel really good and I’m not hungry during the fasting period. My eating window is 5:30 p.m. to 7:30 p.m. I still wake up in the middle of the night with an intense urge to go eat a bowl of ice cream, but I’m dealing with it. I think that after this week I am going to do the Warrior Diet Monday-Friday and do whatever I feel like on the weekends (still staying paleo as much as possible). Lucy, It sounds like you are doing well (except for the binges of course). Try and really feel the difference between the days you feel good and the after binge blues feeling, that’s what helps me to stay away from what I am craving. I also agree with Colleen, sometimes your weight loss will stall but your body is still losing girth and you’ll actually be smaller. Another idea is to “plan” a binge so that you only eat a specific amount (not the 7/8thousand calorie type) and try increasing your fat on the other days. When I have a day of “oops” I make sure I use a tiny bowl for that ice cream and chocolate sauce, keeping it to a full bowl isn’t as bad as oh, say a full bowl of one of those unused cereal bowls up there in the cabinet. Also, I have a teaspoon of bitters now and then for the intense flavor. Sometimes I just need that intensity of flavor because I’m so busy that my food isn’t flavorful enough, too lazy/busy to do some research to make that food full of flavor. Just a couple of thoughts for you. Keep up the good fight for your life here, you CAN do it. RELAX, it’ll happen, it’s inevitable don’t cha know! FYI. Just saw & purchased Australian grass-fed beef at Von’s in Carlsbad, CA under a Von’s label (Open Nature). The chuck roast was only $5.99/lb or $4.99 for Von’s members. That’s the least expensive grass-fed beef I’ve ever seen around here. As best I can tell from the internet, Australia does produce grass-fed beef so…I braised it as I normally do and it was very tasty. I appreciate the ‘buy local’ ideal but at almost 1/2 price to everywhere else, I had to try it. Australian beef and lamb is, for the most part, largely grass-fed. Not sure about our poultry situation. Do try kangaroo if you can get it in the US too – we don’t farm kangaroo here yet, so it’s all wild-caught. And it’s delicious. Bill, I’ve found Open Nature at Safeway. The uncured bacon is pretty good. At the moment, I have lamb shanks from ICELAND in the crock pot, and the ground lamb in the freezer is from NEW ZEALAND. Like you, I’d buy local if it was easily available at a reasonable price. BTW, I live close by the sheep and cattle capital of E. WA State, and there’s a herd of bison grazing on the Swauk Prairie, a 1/2 hour’s drive from here. Yet, it’s more difficult finding grass-fed meat here then when we lived in the Phoenix area, where a rancher came in to town and sold it, frozen, from the back of his pickup at the farmer’s market. I’d be blissed out to replicate that experience where I live, now. Thanks, Susan. I’ll be on the lookout for other Open Nature meats. We have many options for grass-fed in the San Diego area, but it’s always at quite a premium. Finding this potentially economical source made my day. I first tried Vibram’s 5 finger shoes 3 years ago and it has completely changed the way I run and even walk for the better. I used to twist and sprain my ankles regularly when wearing traditional running shoes. This has never happened with barefoot/minimalist shoes. The problem I had with 5 finger shoes is the lack of a toe box made my toes prone to catching on objects (rocks, roots, weight equipment in the gym, etc.) risking fracture. I had a few close calls! Additionally, when on a hike, sticks, rocks, and other debris would occasionally penetrate the webbing between the toes. Getting a thorn stuck in between your toes will prompt a few expletives I assure you! I decided instead to try the New Balance Minimus trail runners (I’m sure there are other brands that make suitable minimalist shoes). Even though the sole is not a true zero-drop sole, I still get a good mid-foot strike that feels no different from the 5 fingers. I feel that I get nearly all the benefits of the 5 fingers with the added protection. The toe box protects my toes and I can wear them on very long hikes without suffering from penetrating debris or a bad toe tweeking. 2 and a half years later, I still have the same pair of shoes; albeit, a bit more worn and a lot stinkier than when I first bought them! I love my NB Minimus 760 shoes. I even use them to go backpacking. I’m sure after a couple of hikes the 4mm heel rise is pretty much obliterated. Thank you for choosing and answering my question (food in Europe vs the US). I was fairly certain the quality of food was the correct answer but was just looking for confirmation. GMOs, pesticides, antibiotics, hormones, it’s a travesty what is happening to the US food supply. I will just have to work harder to find the best food for my family. Crossing my fingers we get the opportunity to be stationed in Europe again soon. Amazing volume of info on this post…it’s the blog equivalent of HIIT. Thanks, Mark, and keep it up!! Theresa Tapp has scoliosis. Her T-Tapp exercise videos do wonders for posture. http://www.t-tapp.com. I’m not associated with her business; just a happy customer. I am confused. Sometimes Mark seems to tout bodyweight exercises as the way to go but when he makes other statements such as the above comment “Barbell training elicits the greatest training effect.” I don’t know what to think. Any thoughts? I believe it depends upon what your goals are. Barbell could get you there faster depending on where you are and where you want to go, but bodyweight certainly sufficient to be healthy and strong. This post answers a lot of questions I wouldn’t have event though to ask, but I have one of my own. For my entire life unlike most people I have never had a sweet tooth, but rather salt cravings. I used to feed those with popcorn or salty tortilla chips, since going primal I haven’t found any foods that can satisfy that craving. Am I missing something in my diet to crave salt? Depending on what you are eating, exercise level, you may need to salt your food. Various paleo/primal folks discuss supplementing with salt. I would search this site and see if Mark has any articles on same. If you want a salty snack, I recommend making your own pork scratchings (from happy pigs, of course). Get some pork rind, cut it into little pieces, salt it well and leave in the fridge for a couple of days. Then roast at a fairly low temperature (say around 140°C) for a couple of hours, draining off the fat a few times. Crispy and crunchy and salty, mmm. Plus as a bonus you get a couple of jars of good-quality lard. Our butcher gives us the rind for free, so it’s great for our budget as well! They were pretty reasonably priced as well, and have served me really well over the last 6 months. Living in So Cal, I would almost expect to see the “toe” look of my masseur when getting a massage. Barefoot, even. Also, for the person with scoliosis… I would recommend regular massages (is it a structural scoliosis (ie bone deformation) or a functional one (muscles that are tight and pulling the bones out of alignment). For the latter, massage can REALLY help as it will relax the muscles and that will in turn allow the bones to move back to where they really want to be. For the former, it will keep those chronically shortened muscles in good condition, and the massage will also help to reduce pain. I would also recommend that you stretch the shortened muscles each day (for scoliosis, you are wanting to stretch Quadratus lumborum, Errector spinae, traps, and probably levator scapula at the very least, and I would also recommend hip-flexor stretches as the most common cause of back pain is chronically shortened and tight hip flexors. Amazing Mark! Thanks for this and your hard work! Thanks Mark! I’ll be wearing my vibrams until they fall apart or have no sole left (whichever comes first). What I have found is by wearing toe socks the need to wash / launder the shoes is greatly reduced plus I adapted to the socks rather quickly and find them to be a very comfortable addition. I was looking at the vivo barefoot shoes. They have some pumps for ladies, called jing jings that are supposed to be like barefoot. I was wondering about this as I work from home and spend a lot of time barefoot (or in socks, I’m in the U.K. barefoot even in the house can get a bit chilly!) so I know how barefoot walking feels. I have a pair of leather pumps that I bought in a regular shop here in the U.K. that I just love wearing, they are leather inside and out so breathe and have a very thin, very flexible rubbery sole (not designed that way, just fairly cheap!). I’d noticed that even when I go for a walk in the hills with a little hiking involved I like to wear these, even though not designed for that, because they grip the ground really well and as the sole is so thin and flexible I can actually use my toes and feet to grip and “feel” the ground. I had wondered if the way your foot moves in them provides a “closer to barefoot” functionality. I’d love to get involved in designing some like that for the ladies! I love the jing jings. Even wore them on an 8km ‘stroll’ around the city recently including climbing around a rock garden. +1 on the toe socks with VFF’s!!!! I’ve been wearing them for 2-1/2 years and they have done wonders for how my back and legs feel! Gonna look at Vivo’s for dress shoes at work….. 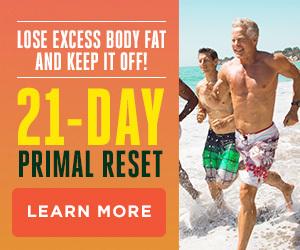 I there a guide on how to eat once off the 21 day primal test to ensure we don’t gain weight / fat back ? Thanks ! I just bought the e-version of the 21-Day Tranformation which provides a link to download a pdf version of the journal. The link does not work and I was wondering if you had moved it to a new location. BTW, the book is fantastic and I am excited to begin!